What are the chances? 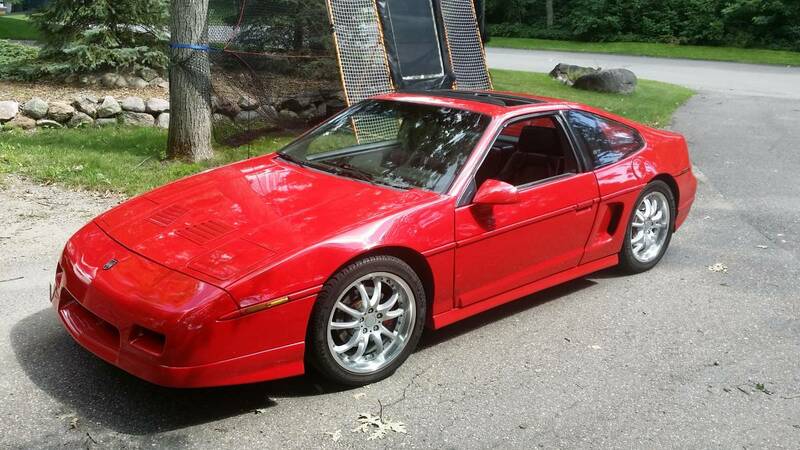 Two '87 Pontiac Fiero V8s offered from the same Minneapolis area Craigslist? Not good, I'd say. CONSPIRACY!!!!! A conspiracy for awesome because nothing beats the pants off the Monday morning blues like a couple of V8 swapped Fieros. Olé! Tips from Rock On! First up is this 1987 Pontiac Fiero GT offered for $6,800 in Plymouth, MN via craigslist. The red paint appears glossy, but the car isn't perfect and sports mediocre panel fit and...eh...it probably came like that from the factory. 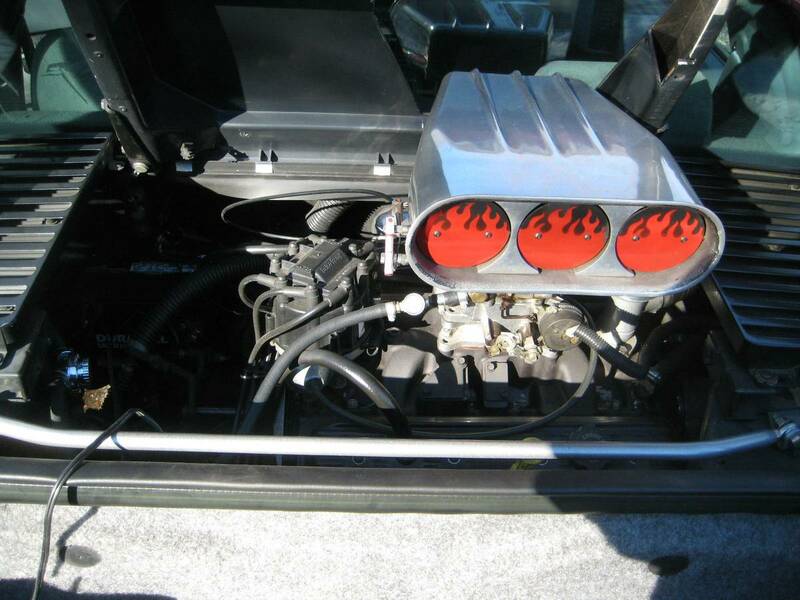 Under the engine cover is a "strong" TPI 350 cubic inch Chevy V8 that is mated to a Getrag 5-speed manual gearbox. With Recaro buckets and a fuzzy aftermarket steering wheel, this thing looks ready for the track. 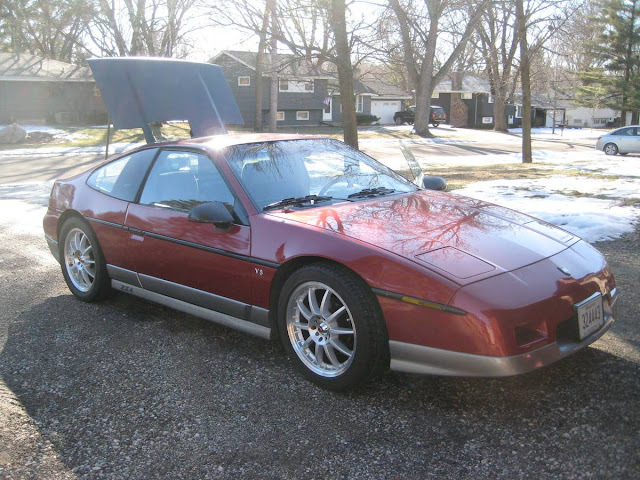 The next contender is this 1987 Pontiac Fiero GT offered for $9,800 somewhere near Minneapolis, MN via craigslist. The car is a rust-free California car that was given at least one respray before it was turned into a V8 monster in 1999. Which Fi8ro would you drive? Comments below. I like the red one :-) OK, seriously, I prefer the first car, because it looks pretty much stock from the outside. Also $3K cheaper. However, I could be swayed by the road-record of the second car. The proof of engine swaps comes in long term use. If I had to take the "snorkus" car, I would be tempted to replace the flames on the butterflies with smiley face stickers, so as not to freak out the family in the minivan behind me at the traffic lights. I have a social conscience, after all. I remember Hot Rod Magazine had a feature in the late '80s about dropping a Cadillac Northstar V-8 into these cars. Never knew that the Chevy swap was so popular. Would probably take the TPI model for ease of tuning. And sadly thanks to the general, nobody builds excitement anymore. I will take the non-snorkadomus model thanks. 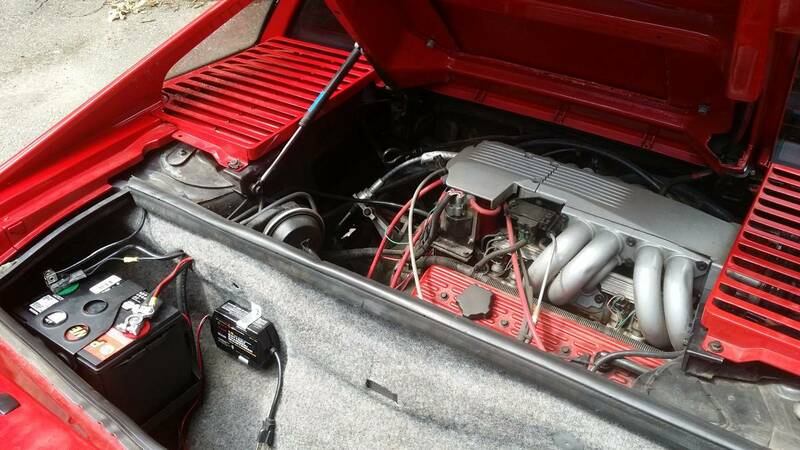 Fieros had such a euro vibe to them and the inverted Hoover vac totally kills it for me. The bright red one looks great and seems like the better deal, nice find! I purchased the one with the TPI setup. Wish I had gone over it more, had blown head gaskets.